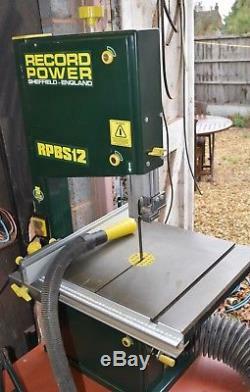 Record Power RPBS12 240v Bandsaw (with homemade stand) and additional new blade. This machine has been hardly used and is in very good condition. 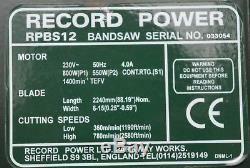 The item "Record Power RPBS12 240v Bandsaw & extra new blade" is in sale since Friday, November 2, 2018. This item is in the category "Home, Furniture & DIY\DIY Tools & Workshop Equipment\Power Tools\Saws & Accessories\Band Saws". The seller is "maria1896" and is located in Loughborough.